Brothers, enjoy this jumbo issue. I will be away on pilgrimage most of this month. Formation: article from HNP on the novices. 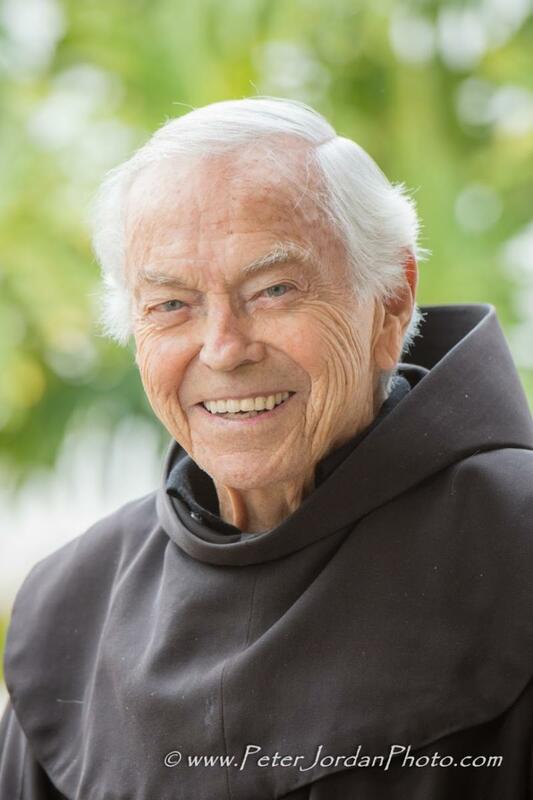 Father Christian Mondor, OFM died on Wednesday April 25, 2018. Father Chris was 92 years old, 74 years professed and 67 years ordained. Please keep Fr. Chris and his family in your prayers in this time of loss. The Rev. 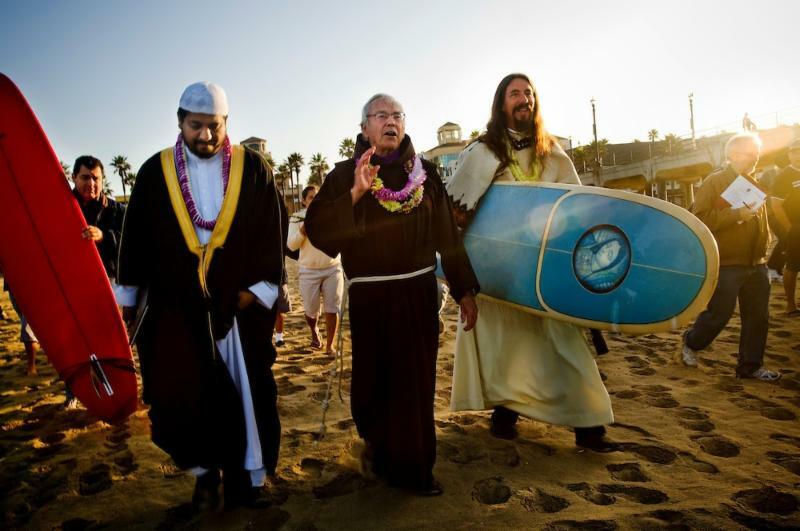 Christian Mondor, the "Surfing Padre" who wore a wetsuit under his clerical robe and presided over an annual Blessing of the Waves ceremony in Huntington Beach, has died. 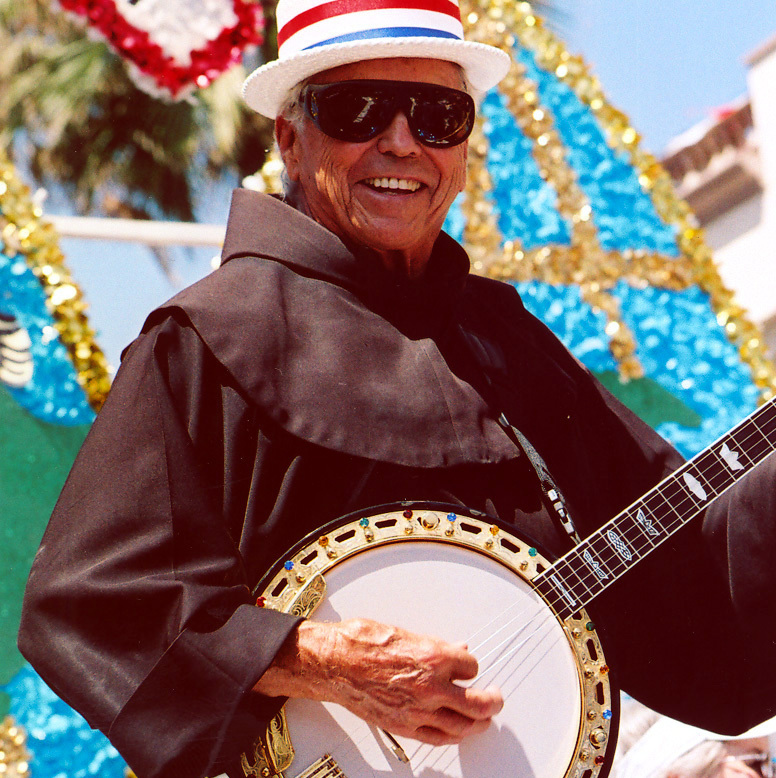 Mondor died Wednesday, two days before his 93rd birthday, after a bout with pneumonia, according to officials at Saints Simon and Jude Catholic Church in Huntington Beach, where he heard confessions and sang in the choir for nearly three decades. "He just loved life," his colleague, the Rev. Ryan Thornton, said Friday. "The community was drawn to him because he had an extraordinary ability to connect with people." A competitive swimmer since he was a boy, Mondor only took up surfing in 1990 — when he was in his mid-60s — after joining the church just blocks from the beach. "He figured that if he lived near the beach, he'd better learn how to surf," Thornton said. 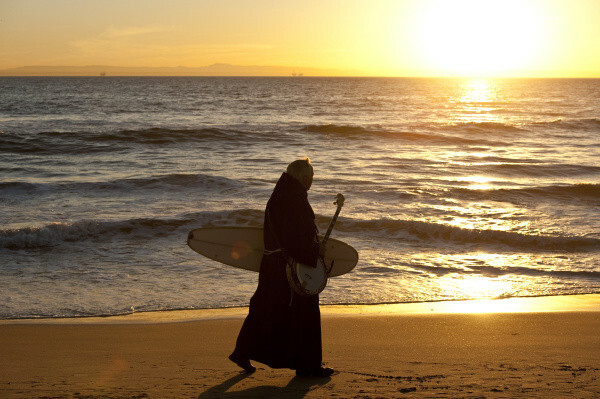 Before long he earned the nickname the Surfing Priest and, later, the Surfing Padre. His fellow surfers would ask for his blessing before they paddled out in the mornings. Eventually, Mondor started a yearly interfaith prayer service on the sand with other religious leaders. It became known as the Blessing of the Waves and drew thousands of people. Mondor said the event was to honor St. Francis of Assisi, the patron saint of the environment. Recent gatherings included representatives from the Roman Catholic, Jewish, Mormon, Islamic and Zoroastrian faiths. After presiding over the blessing, Mondor shed his robe and grabbed his board to join a crowd of surfers in the water. 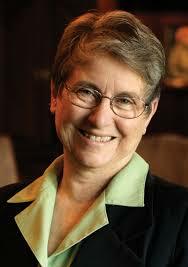 "We find that the ocean can bring people of all faiths together," Mondor said in 2010. "And since this is Surf City, USA, it's the perfect place to gather." In 2013, Mondor was honored with a star on Huntington Beach's Surfing Walk of Fame. During his nearly 70-year career, Mondor worked as a priest and teacher in his home state of California, as well as in Oregon and Canada. A memorial is planned at Saints Simon and Jude church and the surfing community will organize a ceremonial paddle-out in Mondor's memory, he said. 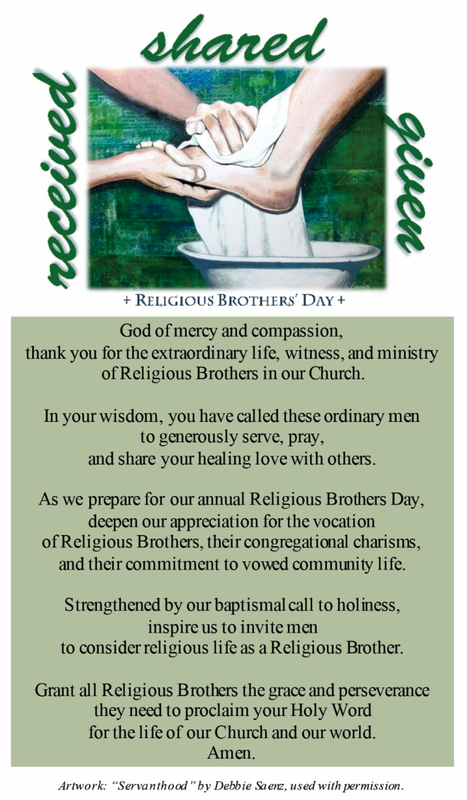 Today, across our Province and across the country we will be celebrating Religious Brothers Day. We give God thanks for the gift of our brothers and for the gift of their vocation. Take a moment today (or any day, for that matter) to call, text, or email one of our lay brothers to thank him for his life and work with us! Happy Brothers Day, Brothers! We also wish to acknowledge all of our brothers who are simply professed: Friars Zeno Im, James Seiffert, Henri Djojo, Bradley Tuel, and Mark McPherson. Many thanks to Anne Browne of the Provincial Office for the “fraternal collage” provided here as well. 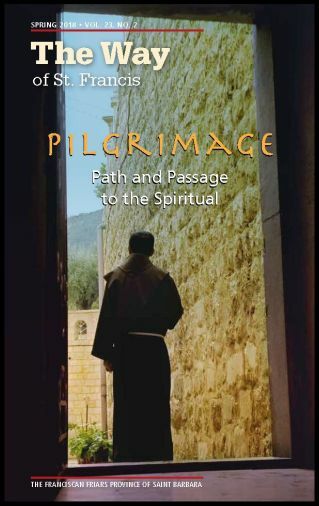 Edited by Friar Charles Talley, this Spring 2018 issue focuses on the theme of “Pilgrimage: Path & Passage to the Spiritual.” It includes articles and information from/ about a number of friars, including: Friars David Buer, Mario DiCicco (SH), Richard Juzix, Sam Nasada, John Quigley (SJB), Joe Schwab, and Warren Rouse. Pictured: The Way, Spring 2018 issue (cover). Artwork: Paul Tokmakian. 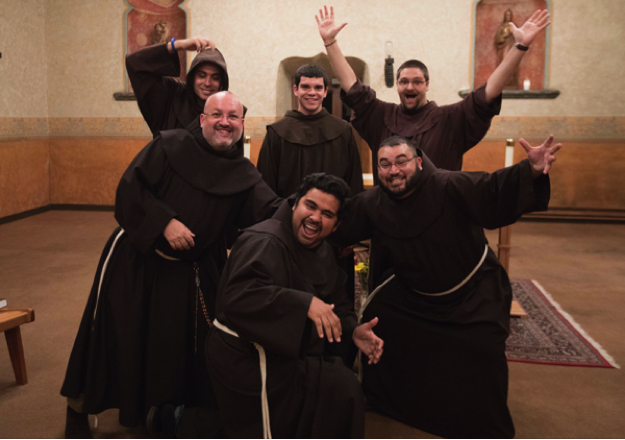 SANTA BARBARA, Calif. — Six men – ranging in age from their 20s to their mid-40s and hailing from areas around North America – have spent the last eight months learning about Franciscan life and about themselves. As members of the 2017-18 novice class at the interprovincial novitiate, they are participating in workshops, working at ministries, and collaborating with other Franciscan communities. They have also lived through a natural disaster. 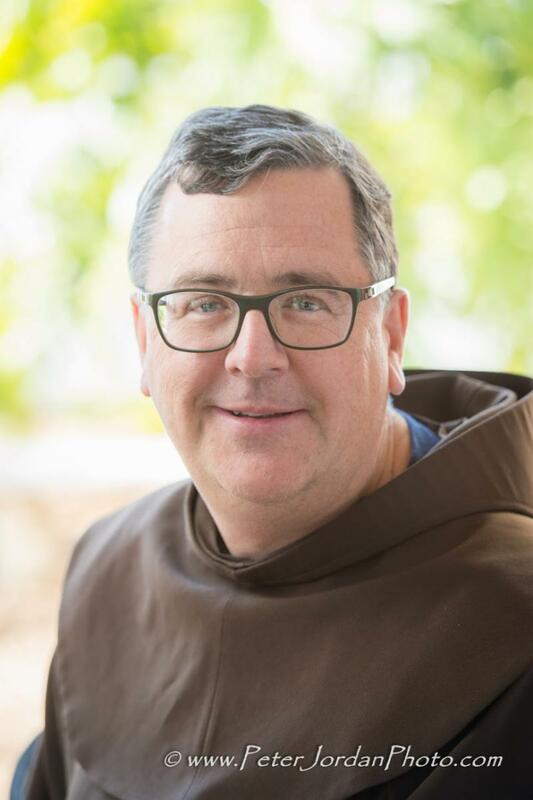 The novitiate experience is intended to be an apprenticeship to this life as a lesser brother, said Michael Blastic, OFM, one of three members of the leadership team at Old Mission Santa Barbara, where the novitiate has been located since August. The team teaches classes in modules from Monday through Wednesday, which allows flexibility for presenting required topics. 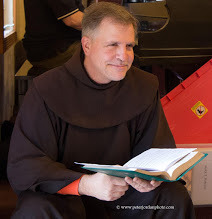 Given that the Friars Minor are collaborating with the Conventual and Capuchin novitiates, this involves joint meetings of the teams to plan what they will do in common. “This collaboration has been a real enrichment for all of us and has allowed us all – novices and formation teams – to establish relationships of support and friendship,” said Michael. An average week for the novices includes study, ministry work and opportunities for personal and spiritual growth: Monday through Wednesday are days of input, either through workshops or through classes. Special work projects take place during one or two of the afternoons when no input is scheduled. Thursday is ministry day – with St. Vincent’s Home, pre-schoolers and seniors, Catholic Charities, Showers of Blessings with the homeless, parish home visits, and the like. On Friday morning, the novices have a session on group dynamics, communication skills, conflict resolution, and similar topics. Friday afternoons alternate between friary chapter, spiritual chapter and theological reflection. Saturday morning after Eucharist is given to regular house chores, and the remainder of the day is free for the novices until they come together for Compline at 9:15 p.m. On Sunday, after morning prayer, the novices go to Mass at a parish of their choice. After evening prayer on Sunday, the novitiate hosts preprandium with the professed community, and after dinner, they have some form of common recreation. Each day includes morning and evening prayer, with Mass scheduled at different times of the day. The novitiate celebrates Eucharist with the professed community on Wednesday afternoons, followed by preprandium and dinner. The location of Santa Barbara has provided accessibility to the Capuchin and Conventual novices. “We have been able to arrange joint experiences among ourselves,” said Michael. “For next year, together we have developed a program that will allow us to share many workshops in common, times for prayer and reflection, as well as for fraternity and recreation. James Damon, OFM, a native of South Wales, N.Y., and a member of Holy Name Province. He graduated in 2016 from St. Bonaventure University in Western New York. Troy Hillman, OFM, a native of Hinsdale, N.Y., and a member of Holy Name Province. He graduated from St. Bonaventure University in 2015. 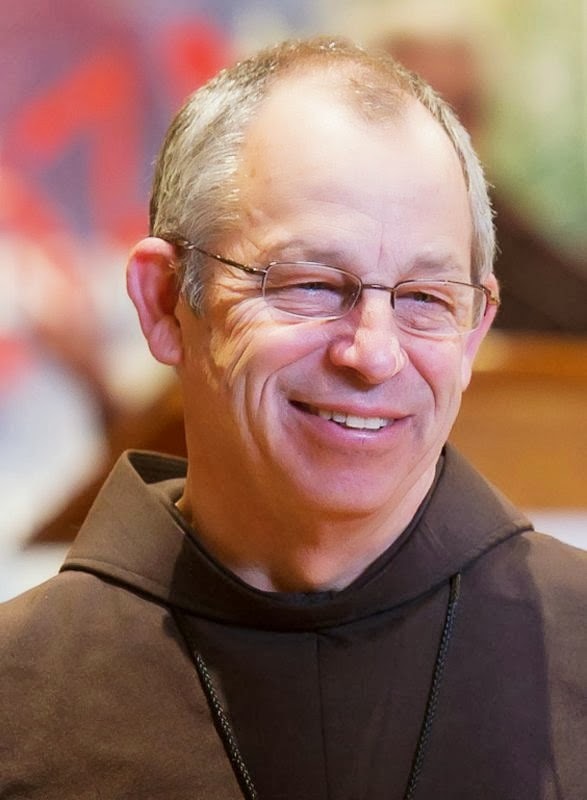 James LaGrutta, OFM, a native of Goshen, N.Y., and a member of Holy Name Province. He graduated from Siena College in Loudonville, N.Y., in 2011 and from George Mason University in Virginia in 2012. Michael Lomas, OFM, a native of San Jose, Calif., and a member of St. Barbara Province. 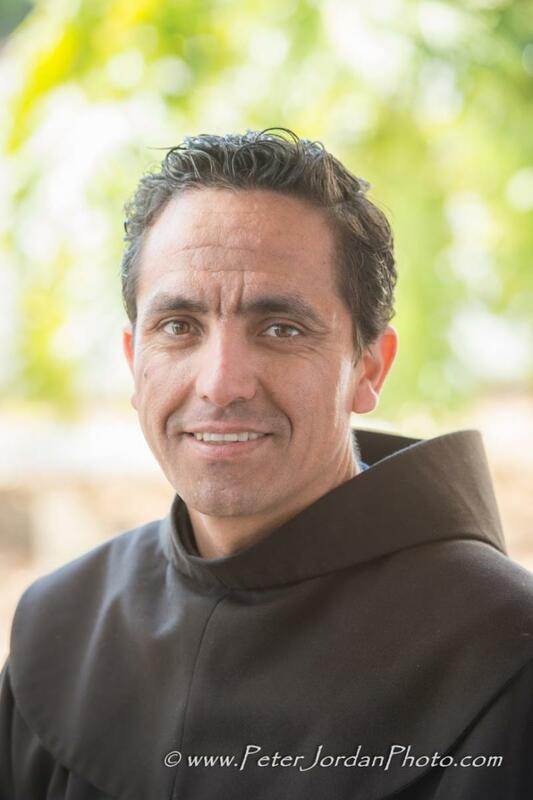 He graduated from Holy Names University in Oakland, Calif.
Luis Manuel Rosado, OFM, a native of Puerto Rico, and a member of Holy Name Province. He graduated from Pontifical Catholic University of Puerto Rico in 1992. 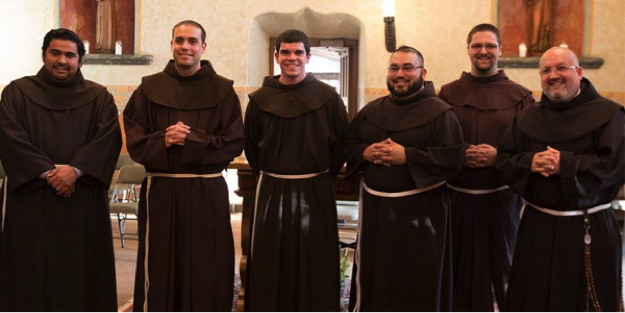 The six student friars, who began their 2017 novice year in August and received their habits in November, recently reflected on their experiences. Each provided feedback to several questions. Hi. 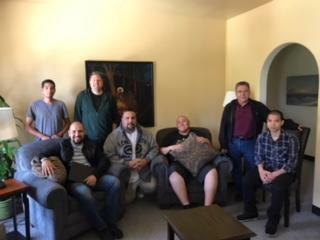 We were lucky to have five good men who are discerning come to Santa Barbara this past (April 13-15) weekend. One is from Carpenteria; two are from Orange County; one is from the San Diego area; and one is from the Tucson/ San Xavier del Bac area. Friars John Hardin, Jeff Macnab, and all the friars here at OMSB were fantastic and welcoming. What if the saints we know and love from the past were fast-forwarded into the present? How might they respond to God’s call today? Come experience Francis and Clare as they make a choice to follow God’s call - brought into the 21st century and among LA's Skid Row. Help us bring their story to life in SSJ's first annual all-parish musical production - A Beautiful City (Image courtesy of SSJ Parish). The original script was written for the SSJ community by the Parish Ensemble director/pianist Michael Upward and his writing partner Barbara Brennan. Friday, May 18, & Saturday, May 19, at 8:00 p.m. (church doors open at 7:30 p.m.) Just let Daniel Barica know when you might be coming a t dbarica@ssj.org . Thursday night, May 17, will be a dress rehearsal with no charge for admission so that might be another opportunity. He finds his answer in a rundown old chapel, St. Damian’s, which is located on L.A.’s Skid Row. It is there that he hears God’s call to “Rebuild His church.” Frank’s faith causes others, in particular, his friend, Clare, to follow him and join him in a mission to help the homeless and destitute of Skid Row. The story is told through lively and moving music that will touch those of all ages. 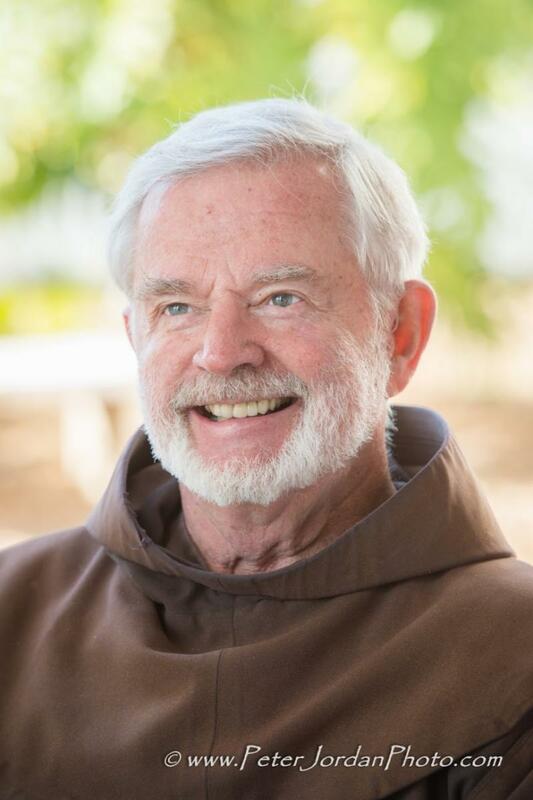 Congratulations and best wishes to our brother, Friar Dan Lackie, who was installed as Pastor of St. Barbara Parish, Old Mission Santa Barbara on Sunday, April 15. Bishop Robert E. Barron, regional bishop for the Santa Barbara Region of the Archdiocese of Los Angeles, presided. 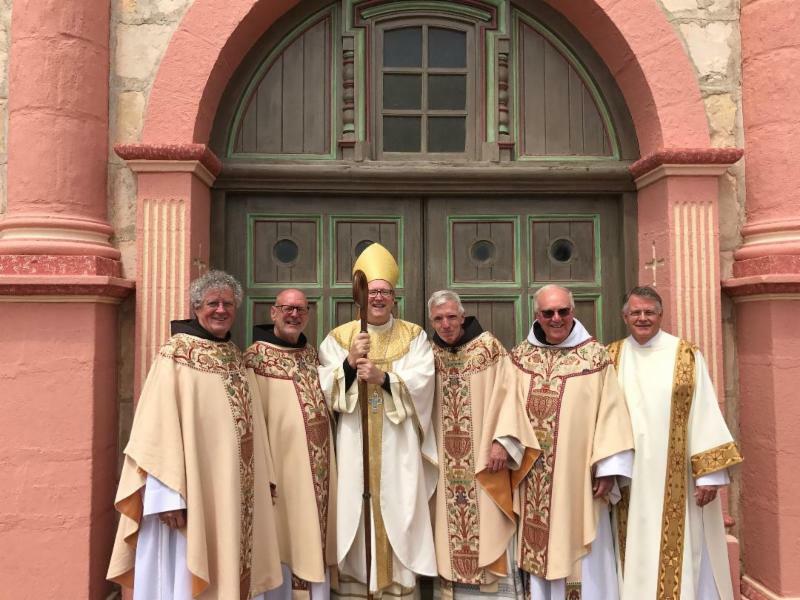 Featured here (l to r) Friars Richard McManus and former Provincial Minister John Hardin; Bishop Robert E. Barron; Pastor Dan Lackie, and Deacon Chris Sandner, Secretary to Bishop Barron and deacon at St. Mark University Parish, Goleta, CA. 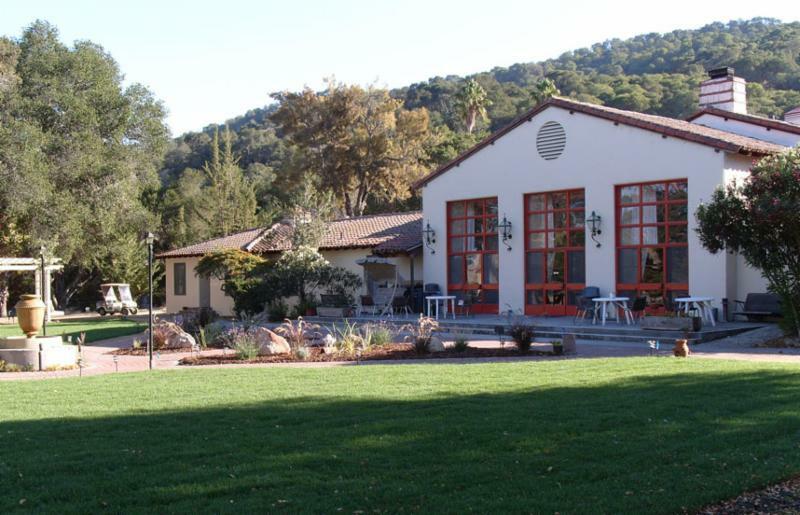 HAPPY 70 th BIRTHDAY, ST. FRANCIS RETREAT! 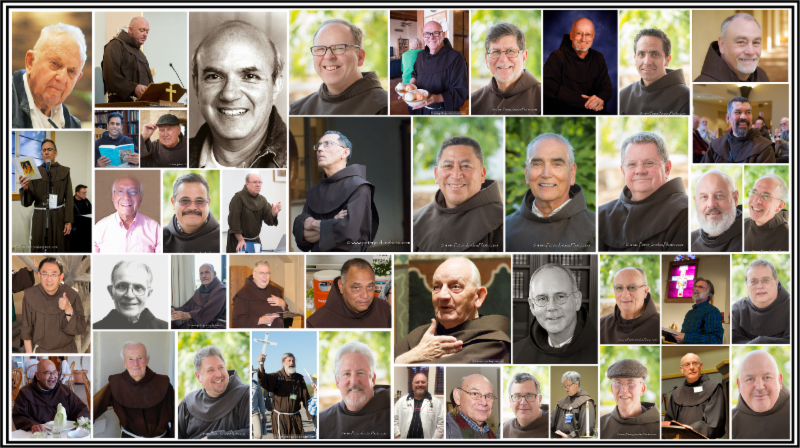 Friars, family, and other friends of St. Francis Retreat were on hand for its 70th Anniversary Celebration of “70 Years of Life and Ministry” (April 21-22, 2018). Festivities included a Reception and Local Farm to Table Formal Dinner on Saturday, April 21, 2018, followed by a Mass of Thanksgiving and and Hors d’oeuvres Reception/ Refreshments the following day. Congratulations to Friar Ken Laverone, Executive Director (pictured left, courtesy of Peter Jordan), the friars of the Laudato Si fraternity, and to all of our confreres who have been involved in St. Francis Retreat since its founding in 1948. Ad multos anos, SFR! Extraordinary Chapter begins with 6 PM dinner on May 28th and concludes with dinner on May 30th at Mission San Luis Rey. Included in our time together on Tuesday morning, May 29th, our Franciscan Sister, Margaret Carney (pictured below-right), will share with us her reflections on the values of "unity" and "discernment" in times of change. Her talk will be followed by small group discussions with the friars at your table. As of April 28, we have 105 friars who have already registered for Chapter. There are no more rooms available at the Mission. If you haven't registered yet, we really need you to register NOW , and you will be placed at the motel (we have a cut-off date for our group rate at the motel). The Extraordinary Chapter Steering Committee. Click Here to Register for the Extraordinary Chapter. Brothers, Friar Eddie Fronske (pictured left, courtesy of Peter Jordan) is retiring from St. Francis Mission in Whiteriver Arizona. His farewell Mass will be on Pentecost Sunday May 20, 2018 at 9:30 AM. I will concelebrate with Eddie and the Bishop. All the friars and friends are invited. 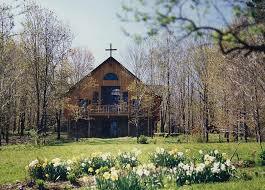 The Mission has a small retreat center (two rooms) which will be available on a first come first served basis. Others can get a room at the Hon-Dah Casino Hotel or in the nearby town of Pinetop. Our theme this year comes from one of Thomas Merton’s insights, “We are already one” with our addition of “Grounding in Christ’s Peace in Troubled Times.” We have availability for single occupancy in the House of Peace and in cabins and hermitages. In keeping with a contemplative time, we hope to give participants enough space to be in solitude as they wish so we are taking reservations on a first come, first-served basis. The Contemplative Days begin mid-afternoon on Monday, June 18 and conclude by lunchtime on Friday, June 22. Call 585-973-2470 or e-mail Michelle Marcellin, our Office Coordinator, at mmarc@sbu.edu . Deadline: May 1. MANY THANKS TO JOANNE ROMEO! Monday, July 16 ~ Serra Chapel, Old Mission Santa Barbara, CA, 11am. 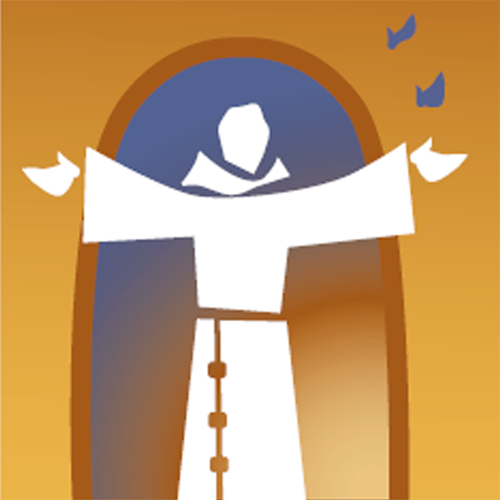 OFM.FYI, the bi-weekly newsletter of the Franciscan Friars Province of Saint Barbara, is published on the 1st and 15th of each month. Editor: Charles Talley, ofm. and will be placed in the next appropriate issue.